You have until Saturday July 4th at midnight to join us. Flowers are pulled from a silk bunch. Backed the dies with powder blue paper. Clouds made with paper towel edge and blue dye ink. For more inspiration and challenges, check out our official Blog HERE. Winner will get a surprise package of embellishments from Pizzazz Aplenty. Judy's choice worth $15.00. 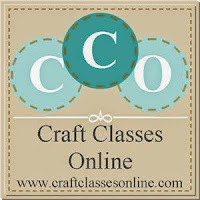 One lucky winner will receive a free seat to a Craft Classes Online online workshop valued up to $25. Come join us on our blog, Everyday Moodlings, where we will have a theme of the week and offer challenges to help us use all of our craft supplies during the coming year. We offer ideas, tips, tutorials, and crafty inspiration. 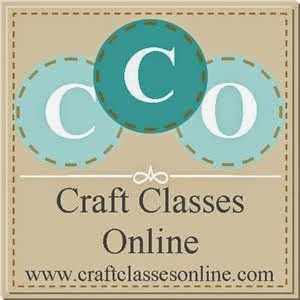 You can view our class list on our website atwww.CraftClassesOnline.com. We continuously update our website with new workshops, so check back often. Become a subscriber to ournewsletter and gain access to our FREE class, “Ink Essentials”! Come visit us on our Facebook page, too. WOW! That's 4 Prizes, and that means 4 big chances for YOU to win, so be sure to PLAY! This is gorgeous Sue, such a sweet image and I love your pretty design. Oh that is so pretty. heck of a time leaving you a comment tonight...would not open! I figured it out though! 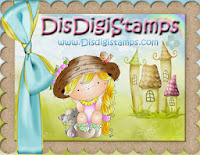 I have always had a soft spot for this sweet image...don't have this stamp, but I should have LOL!